Opioids have long been used to treat severe pain, though their use in the management of chronic pain remains somewhat controversial. Some people can tolerate opioids for years without any adverse effects while others may become physically dependent or even develop a tolerance with regular use. Like most medications, opioids work differently for everyone. Opioids are a type of analgesic, or medication used to control pain sensations. Because they are classified as narcotics, they are available by prescription only. Opioids work by attaching to certain receptors in the nervous system and changing the way the brain perceives and interprets pain. Opioids may be given in the following ways. Intravenously -- Small doses of opioids are injected, often via a pain pump, to provide short-term pain relief. IV opioids are commonly used after major surgeries, such as a hip replacement or spine surgery. Orally -- Opioids may be taken by mouth in pill form or as a liquid, which is how most chronic pain medications are delivered. Oral opioids may be formulated to provide short-term or long-term pain relief, for a few or several hours respectively. Topically -- Opioids may be applied to the skin in patch form, which slowly dispenses a dose of pain medication through the skin. Used for long-term pain relief, patches may be effective for a few days at a time. Via Suppository -- More often used for cancer pain than for other types of chronic pain, opioid suppositories release slow amounts of the analgesic over a time period of up to twelve hours. If you are prescribed opioids for chronic pain, chances are you will be using either an oral or patch form or a combination of the two. Opioid use may be considered when non-opioid analgesics have failed to provide pain relief. These include acetaminophen and NSAIDs. If these analgesics are not effective against your chronic pain, your doctor may consider something stronger. Opioids vary in strength, and some may be combined with other pain medicines. If you're already on a short-acting medication and your pain which was once acute becomes chronic in nature, your doctor will likely transition you to a long-acting medication. Generally, long-acting drugs are preferred, as they provide more even and reliable pain control than their short-acting cousins; the latter may still be provided to you, but simply for periods of heightened pain -- not the regular management of pain. Codeine -- Codeine is a pain medication that is taken by mouth. It is short-acting, meaning it lasts only for a few hours per dose. Codeine is often combined with acetaminophen though it may also be administered with aspirin. Oxycodone -- Oxycodone is available in both a short-acting and long-acting pain medication form. It may be taken on its own, or it may be combined with other analgesics such as aspirin or acetaminophen. Fentanyl -- Fentanyl is available as a short-acting pain medication in lollipop form, and it may be used for the management of breakthrough pain. A long-acting patch form is also available, which can be effective for up to 72 hours. Hydrocodone -- Hydrocodone, like codeine and oxycodone, may be combined with other analgesics such as aspirin or acetaminophen. It is a short-acting pain medication and is very similar to codeine. Hydromorphone -- Hydromorphone is a short-acting opioid that is known to take effect quickly. It may be used in oral form, though injection and suppository forms are also available. Hydromorphone is sometimes used in place of morphine. Morphine -- Morphine is one of the most effective opioids and also potentially one of the strongest. Though available in a quick-release lozenge form, it is most often injected by a healthcare professional at a hospital or clinic. Methadone -- Though it is commonly used as a weaning drug for some opioids or heroin, methadone is also useful in the management of control chronic pain. It is usually effective for about four to six hours at a time. Oxymorphone -- Oxymorphone is available in short-acting forms, either through injection or a suppository. A long-acting form is also available that is effective for up to twelve hours. Oxymorphone is sometimes used in place of morphine. Pentazocine -- Pentazocine is similar to codeine and is a short-acting opioid. It is rarely used in its strongest form due to its tendency to cause confusion and anxiety, especially in seniors. What Kind of Opioid Will Your Doctor Prescribe? 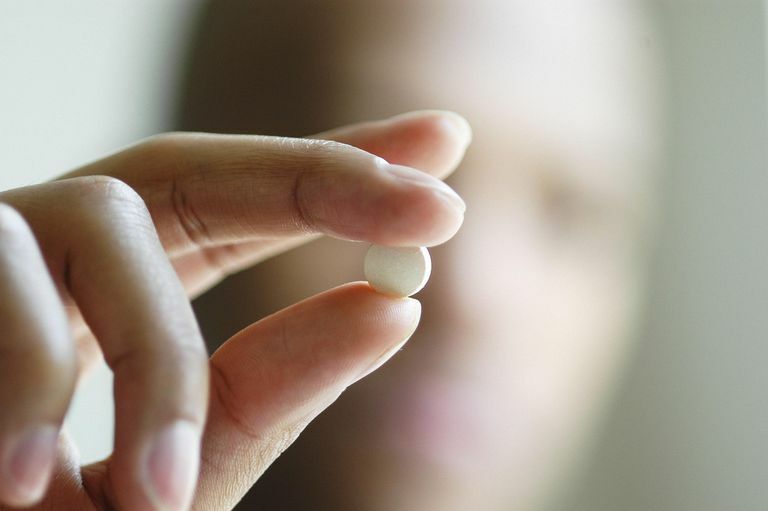 If your pain is more severe, you may be given something stronger, such as oxycodone. Your doctor may try both short-acting and long-acting forms to see what works best for your pain. He may also combine stronger opioids with other analgesics, depending on your needs. American Chronic Pain Association. APCA Medications and Chronic Pain: Supplement 2007. Accessed 6/14/09.